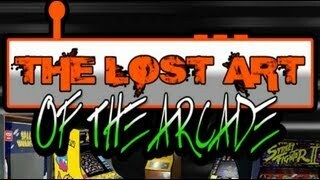 Official Selection Kansas City Film Festival 2012, one man's obsession with vintage arcade games leads him across the country buying and restoring old machines in the hopes of opening a retro arcade. In 1952, Bob Lawton and a few friends took a trip to visit an indoor minigolf course in Barre, Vermont. It was that night that Bob dreamed of bringing his experience to his Summer spot of Weirs Beach, New Hampshire. After receiving a loan from his grandmother and making a deal with Tarlson's Arcade, Bob expanded his minigolf business to include video games, bowling, and even a small restaurant. In 2008, Guiness World Records officially named Funspot the "Largest Arcade in the World". Documentary Playing Yesterday Today A Retrogaming Documentary 14 min. Retrogaming is one facet of the video and arcade gaming industry, where players seek out and play older games. Often with a sense of nostalgia, these players still play and appreciate the artistry, creativeness, and challenge of games made years or even decades ago. Today, retrogaming has also become multi-generational, with young audiences discovering classic games that influenced their modern counterparts.Using narration, interviews and game clips, retrogaming is defined by the people that consider themselves retro gamers. Classic video game shop owners, Joe and Ron Lyons, give their thoughts on retrogaming and where it is headed, while customers interviewed reveal why they enjoy retro games and how these games have had a lasting influence on them and others.Please see film ending for complete game and music credits.“Playing Yesterday Today” is my first short film, which was shot in Rock Hill, SC, and is a result of my enthusiasm for film making and video games. Via IMDB:"Half documentary - half animation, this is a killer little film about arcade games from the late 70s. Actually, the main focus is on pinball wizard Geoff Harvey and Space Invaders and Defender champion Stephen Highfield. Harvey shows off his massive collection of pinball machines and provides us with a little history about their evolution- and of course demonstrates his stuff. Highfield shows off his skills as a video arcadist, tells us why he loves games like Space invaders and Defender and explains his philosophy behind playing them. Both men have an adamant adoration for their preference which has led them to form an oppositional hate for the other. Highfield thinks there is no skill involved- no "mind" to fight against- in pinball, while Harvey thinks that Space Invaders is just another annoying reason to be glued to the "idiot box" and feels that it should be shot into space for the "moonmen" to play. The whole argument culminates with the game characters exploding from the pinball machines and TV set into the "Edwardian Dream" world, from which they move into an animated world where a mighty battle ensues. This is a fun, arty and funny film with lots of great animation and special effects." Support Me on Patreon! - https:www.patreon.comuser?u=4432923Like Me on Facebook! -https:www.facebook.comTopHatGamingManFollow Me on Twitter! @TopHatGamingManPlease follow my Content Contributors!Ashens - https:www.youtube.comuserashensDreamcast Guy - https:www.youtube.comuserDreamcastGuySlopes Game Room - https:www.youtube.comuserdjslopesroomDeath Mountaineers - https:www.youtube.comchannelUCLmvs54h2VoxWnSr0i7H8jARetail Archeology - https:www.youtube.comchannelUCR2LNeZSqINp0WTd_eWCIGgSince Spacies - https:www.youtube.comchannelUCglptaKA4eqejYu2eTtj1gAThe Blogger - https:www.youtube.comuserTheBloggerchannelOctavius Kitten - https:www.youtube.comchannelUCz5Kx6dP6rHRf9yLY1tnelwMizzah Tee - https:www.youtube.comuserMizzahTeeKim Justice - https:www.youtube.comuserelmyrdehoryNostalgia Nerd - https:www.youtube.comusernostalgianerdvideosA man in a Top Hat with a Moustache reviews rare video games in his massive collection. Appreciate the finer things in life. The Top Hat Gaming Man is currently traveling around the globe, playing the best games for the handheld around the world. The Best games are like fine wines and only get better with age. Today Top Hat Gaming Man teams up with a whole slew of other YouTubers to discuss the history and playability of the Sega Saturn. This is the Ultimate Sega Dreamcast Documentary. This is the first episode in a 5-part documentary series that aired on Discovery Channel.